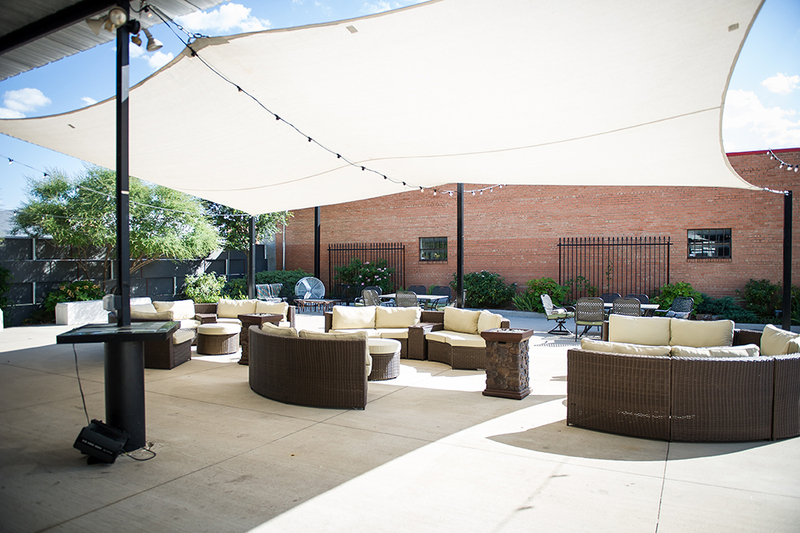 If you’re recently engaged it might be tempting to start your search for a downtown Dallas venue right away. However, before picking your venue here’s some things you should know. Couples often underestimate how many people they plan to invite and often forget to add how many their parents will want to invite. 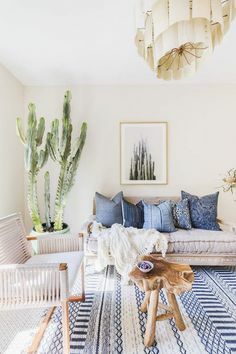 Having that conversation early to know what you’re really working with is helpful in determining if a space would work for you before getting your heart set on a particular venue that accommodate your needs. Having a rough number can also help determine cost if a venue charges based on heads. Speaking of costs, determining your budget and must haves should be one of the first things you do before contacting venues for prices. This way you don’t waste your time if a venue is out of your price range or will take to much away from other things on your list. Every venue is a little different. 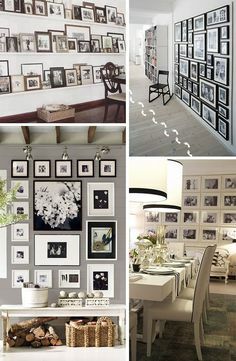 Blank canvas venue like ours are designed more for couples who want to bring in custom elements like furniture, linens, and decor rather than having everything in house. However, we do have some staple items like Chiavari chairs and round tables for those who don’t want to bring in everything themselves. Is this Weekday Wedding Trend Right for You? 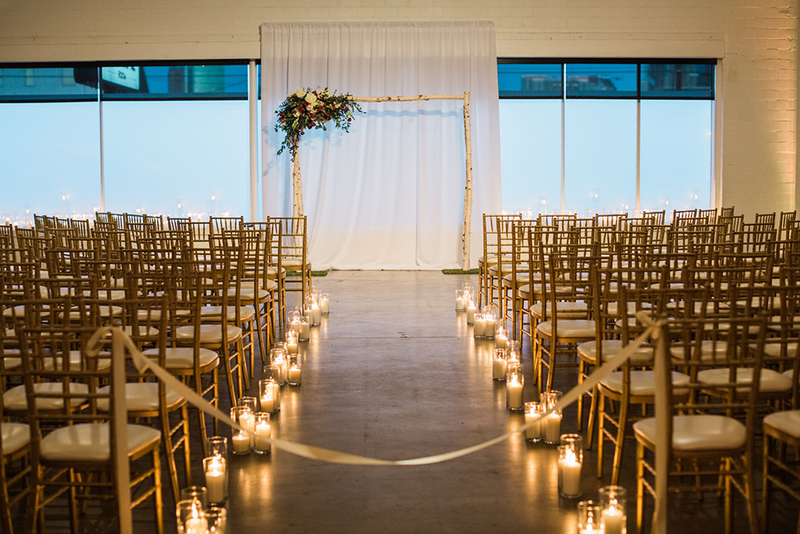 Choosing a wedding date is usually the first item on your newly engaged to do list, but what if you’re Dallas wedding venue isn’t available on the weekend you want? Check out our list below and see if the pros of a weekday wedding outweigh the cons for your big day. Weekday weddings are a natural solution if you have your heart set on a popular venue, especially if that venue books a year or two in advance. A weekday wedding also gives you much more flexibility and control over how your big day will run as vendors have more availability of what times they can offer service and are not having to schedule around several weddings all on one day. Significant discounts and increased choice of wedding services are all playing a big part in boosting the midweek wedding trend. The difference in price could be as much as a grand or two depending on where you’re booking. You can also pass on the savings to your out-of-town guests, many hotels offer discounted rates on weekdays. While there are a lot of benefits for you as a couple, it’s important that you also consider the ones you want to celebrate with. 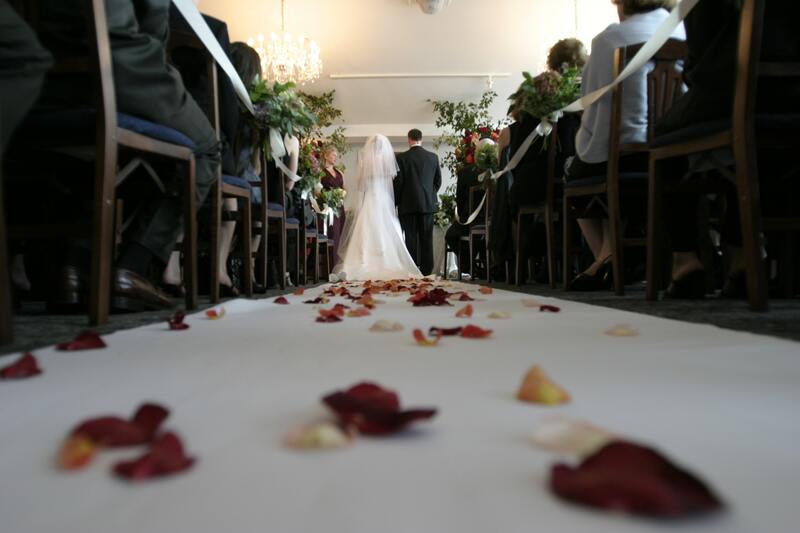 A weekday wedding can make it difficult for some people to take time off or are unable to make it due to weeknight conflicts. Make sure those you want to attend most can make a weekday wedding. Expect your affair to be more intimate. As mentioned above, many on your guest list won’t be able to attend due to scheduling conflicts so expect your attendance to be lower than it would for a weekend wedding. This may work in your favor if you prefer a smaller affair, however if you envisioned a hopping party this way work against you. In addition, most guests will have work and school obligations the following morning, so a late night of partying won’t be quite as appealing. We feel extremely blessed at our downtown Dallas holiday venue to have had so many wonderful features and collaborations thanks to our amazing couples and vendors. We thank you from the bottom of our hearts for the fantastic opportunity to serve you at our venue. 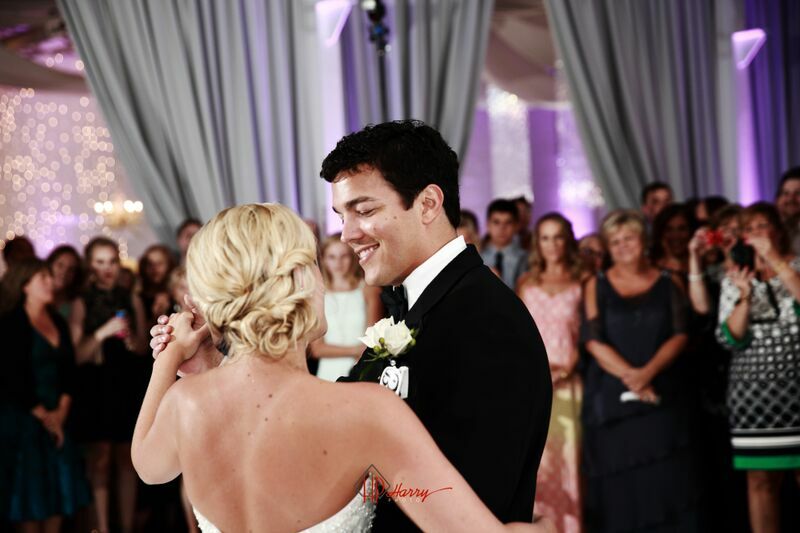 It’s a truly rich experience getting to know each one of your stories and being such an integral part of your big day. To us it’s more than just an event, it’s the reason we are here – to come together and celebrate life’s big moments. As we reflect on this past year we’d like to further thank you individually. Our gratitude is beyond words for what you’ve made this place become. To our vendors and collaborators, thank you for using this venue to create beautiful things and telling unforgettable stories. To our couples, thank you for having your beautiful event here. We love how creative you all are and how you leave your special mark on this building. And just remember it’s easy to get caught up in the chaos that is the holidays but what matters most is spending the holidays with those closest to you. We can’t wait to see what 2019 brings. 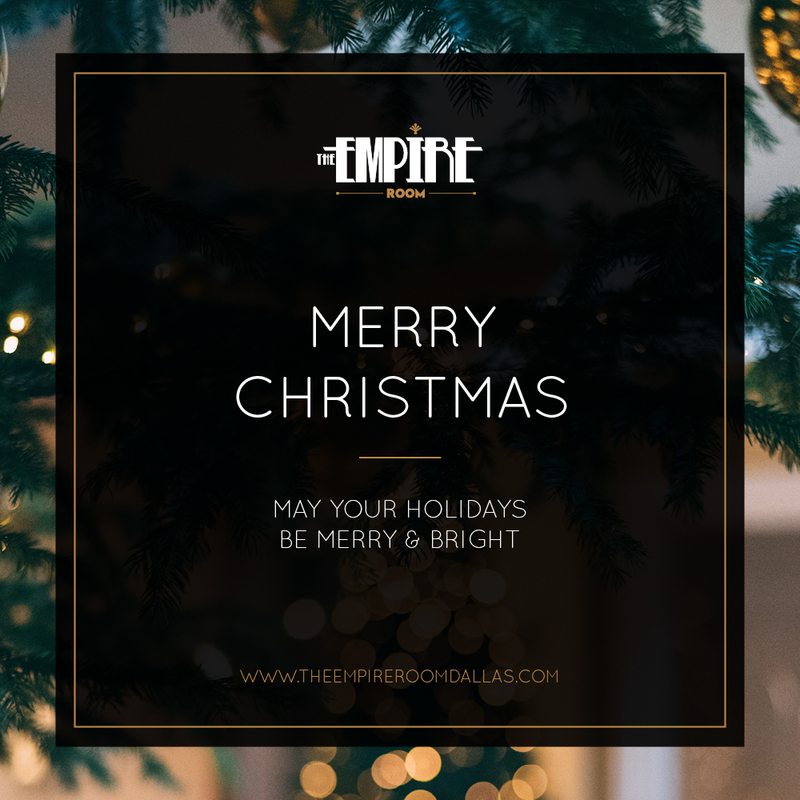 Merry Christmas from all of us at The Empire Room. 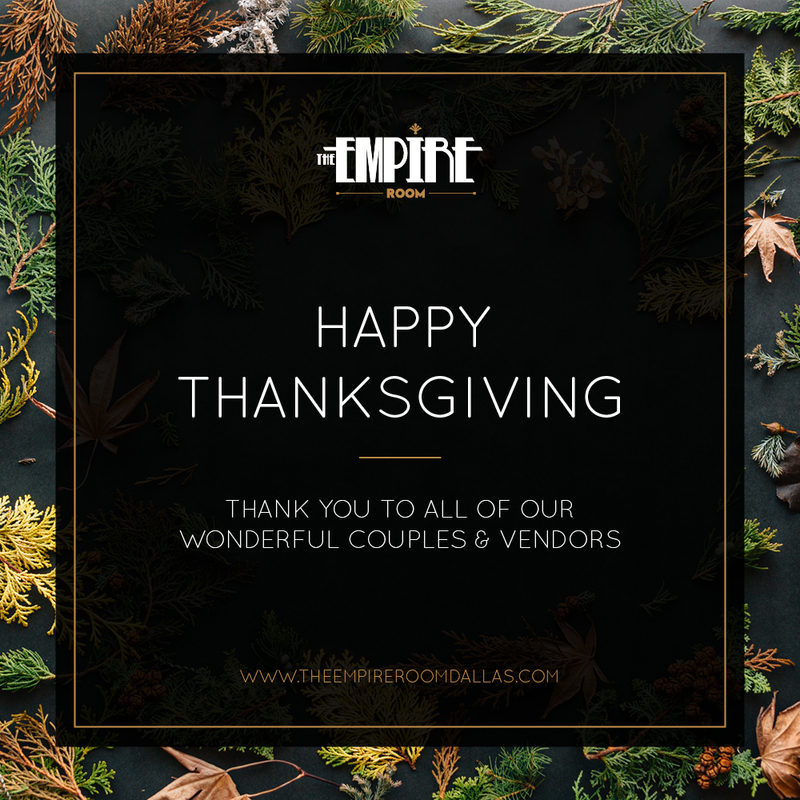 We are so grateful to be one of the best Dallas venues thanks to our amazing couples and vendors. We’ve had so amazing events this year from Texas Monthly to Post Fest. Here are some highlights from some of our events this year. Be sure to tell us which event is your favorite. We were thrilled to be featured on Brides of North Texas as part of the North Texas Wedding Cake and Catering Trends of 2017. In the feature are three textured cakes from beautiful unique weddings from 2017 that happened right here in The Empire Room. If you missed it be sure to check it out. Another Brides of North Texas feature, wow! Natalie and Matthew Sundberg got married at The Empire Room with a vintage romance inspired wedding. See the featured post here. Fun time cooking it up at the Lexus Uncorked Event, a free event featuring signature dishes by the Dallas area’s top chefs and restaurants. Another successful Kibble and Cocktails where DFW Rescue Me raised over $87,000 for dogs in need of rescue. It was a fun night full of outstanding food and cocktails, beer, wine, live music, live auction, a raffle, and adoptable dogs onsite. If you missed this years event, not to worry, there will be another one again right here on April 4th, 2019. And we certainly can’t forget our favorite event of the year (though we may be a little biased). A huge thank you to the amazing vendors for helping create a spectacular night celebrating The Empire Room’s 4th Anniversary! As a popular Dallas New Years Eve venue, we love everything about it from midnight kisses, the bubbly, glitter and of course the decor. We’ve created a list that will have you beginning and ending your year in style while celebrating your love with a bang. Number balloons make for fun props when its time to pose for pictures. Or you can spell out the new year in gilded letters and use them in a champagne and dessert display. Spray-painted faux floral arrangements with a silver metallic and place them in mercury vessels for a classy and unique take on floral centerpieces. Sequined runners add a lovely sparkle to your tablescape and reflect light from your candles. Have some extra fun and get one that flips to reveal another color. S’mores and hot cocoa are a great way to make guests feel warm and cozy. Glam up this comfort food by topping it with gold sprinkles. A New Year’s Eve wedding is the perfect excuse to throw a masquerade theme. Set out personalized noisemakers, poppers, and the like for guests to grab to set off when the clock strikes 12 as you share a new year’s kiss. 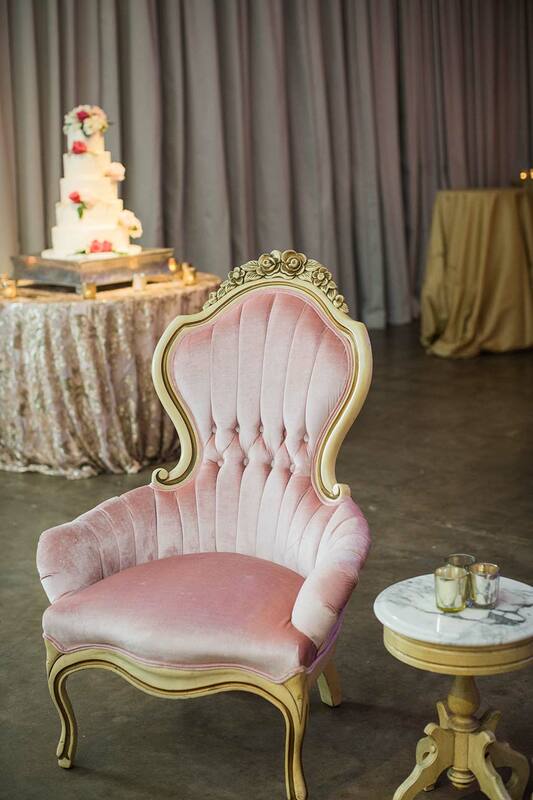 With 2019 quickly approaching, we are already taking notes for next year’s hottest trends in decor at reception venues in Dallas. Check out these reception details that we think will be a big hit in the new year. Expect to see a shift towards stark contrast with black accents on tablescapes from candles to flat ware. 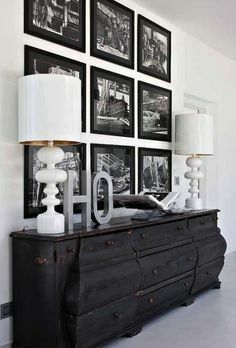 Modern, clean design will never go out of a fashion but with such a strong emphasis on what’s trending many couples are looking to find inspiration in traditional elements again. Balancing traditional and contemporary pieces is what makes a tablescape feel rich in design. This year we saw lucite become a chic choice for everything from dinnerware to seating but with all the transparency, tablescapes are in need of more texture from other elements. Velvet is a great way to incorporate subtle texture and we expect to start seeing it used more frequently in the new year. Monogrammed napkins are emerging as the perfect personal touch for your wedding tabletop. It makes the wedding dinner feel like an elegant dinner party. We’ll probably also see an increase in monograms being used as a projection on walls or the dance floor as couples seek that extra personal touch. Pastel colors are also making a strong comeback. Pantone seems to agree as they just released Living Coral as the color of the year for 2019. As laser cutting technology becomes more accessible, we are seeing it used to personalized place settings with laser cut name place cards and menus. Structured florals can become costly which is why are starting to see couples moving towards looser arrangements and greenery as the focal point for their table displays. We think this lean towards a more wild look will catch on like wild fire next year. Inclement weather isn’t the only thing that could put a big damper on your Dallas winter wedding. Take it from us and don’t make these costly mistakes when planning your winter wedding affair. The winter months call for a few extras you may not have thought of. When planning your emergency kit don’t forget tissues for any running noses in the cold weather, hand warmers that you can actually put in your shoes or dress for outside photoshoots and lotion to keep your skin from drying out in the cold air. Not thinking of their wedding dress seasonally. Many brides either don’t want sleeves or think they have to tough it out without a jacket to get stunning outdoor photos. That’s definitely not the case, embrace the season and check out our previous post for stylish winter dress styles. In fact, it could cost more for both you and your guests more during the holiday season. Destination hotels are higher, airfare is higher, florists are higher. So be sure to make room in your budget for the extra costs and send your invites sooner so your guests can book their flights and hotels sooner to get a better deal. Thanksgiving is a day of reflection at our downtown Dallas venue. We are incredibly grateful to work with such fantastic couples and businesses every year. We wanted to thank you, our wonderful customers and vendors, as we reflect on everything we have to be thankful for this holiday season. First, we thank our customers. Whether it be our wedding couples, corporate professionals, or our social event planners, the creativity that you’ve brought into our space over the last year has been an inspiration. We are so lucky to have you and feel honored that you’ve chosen The Empire Room to plan your occasion. Our team is so passionate about their job and it shows in every event we host. We wouldn’t be the company we are without every one of our staff. We couldn’t do what we do without the support of our families. Our industry is full of creative people. We’ve been very lucky to collaborate with vendors in the Dallas and Ft. Worth area – those personal connections mean so much to us. As a downtown Dallas venue, we love connecting to the city through events. Our location is convenient for Dallas locals, and perfectly situated for out-of-town wedding guests to enjoy Dallas attractions during their stay. When booking your DFW winter wedding venue remember that the weather this time of year is more unpredictable than usual. We highly recommend checking out our tips for preparing for unexpected weather just in case. One common rain plan option is to give your outdoor surroundings plenty of coverage from the elements. While rain is typically what couples are worried about, it isn’t the only weather condition that should be on your radar. Think through every scenario, from an extreme heat wave to an ice storm–you never know with Texas. Unexpected cold snaps happen, but that’s no reason to head indoors. A great way to keep the outdoor party alive is to simply bring out outdoor heaters or creating fire pits for casual guest seating. Serving mugs of hot chocolate and providing heavy blankets as party favors to guests will help them not even notice the nip in the air. Predicting the weather is difficult to do. Backup plans are of course a must, but added protection is good to have too. Consider getting event insurance. If Mother Nature decides to be destructive on your big day then it’s possible some of the costs can be recouped.